If you are considering a career in nursing or midwifery, our Open Day is a chance for you find out what will be involved when studying at London South Bank University (LSBU). Representatives from across our School of Health and Social Care will be available to answer any questions you have. 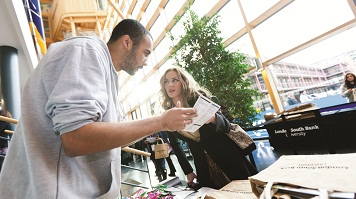 There will be student ambassadors supporting the event who can tell you what it's really like to be a student at LSBU.